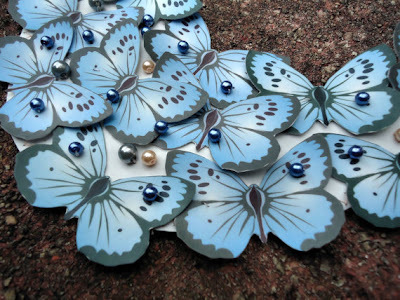 Those of you who have been reading my blog for a while will know I have a soft spot for butterflies. 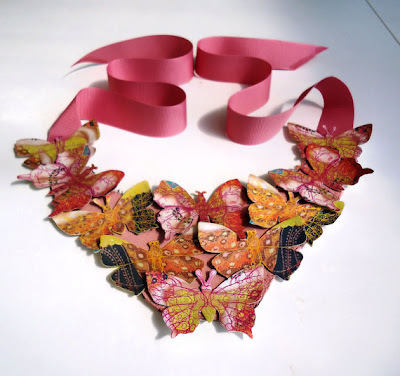 So I was doubly thrilled when I came across Anastasia's Dreaming of Butterflies collection in her Etsy shop, Lovisetto. 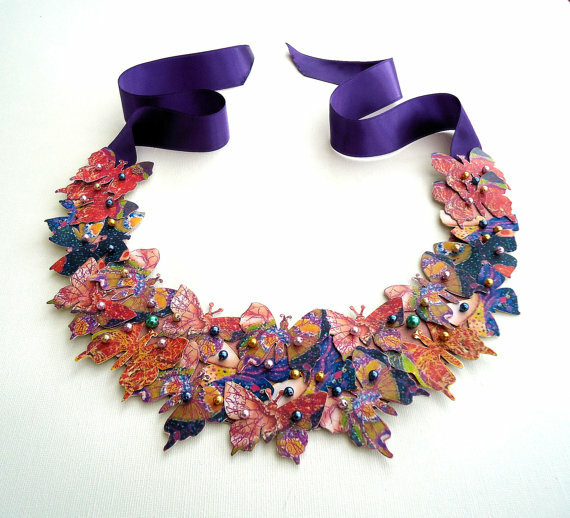 These beautiful insects, Gustav Klimt paintings and gorgeous vintage brooches all serve as inspirations for her bold and colorful bib statement necklaces. The designs remind me of resting Monarch butterflies which migrate from Canada all the way down to Mexico and California and back up again. Anastasia's creations flutter around necks! 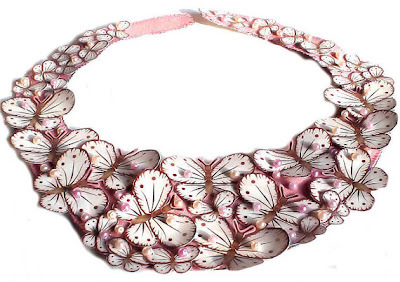 Anastasia works with fabric, artificial leather and glass pearls. Born in Russia, she now lives in England. She worked in Human Resources for several years before deciding to leave the corporate world and pursue her artistic dreams. She trained at the Academic School of Design in Moscow and after graduation, has been making her wearable art jewelry ever since. 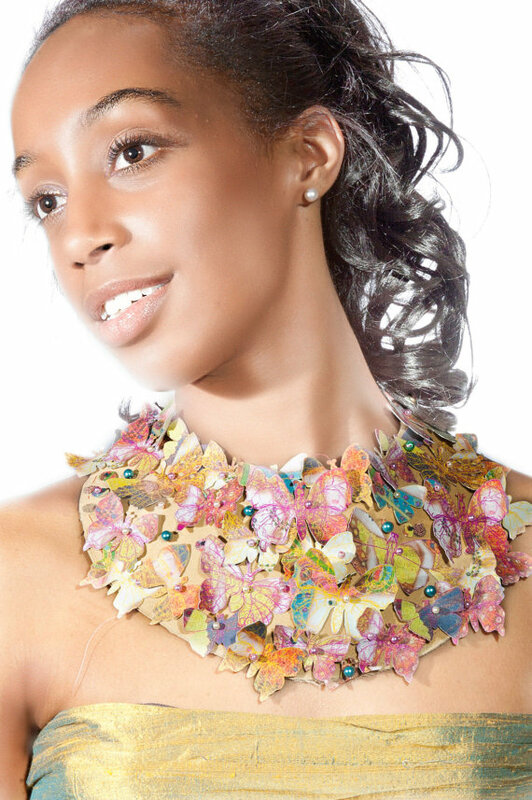 Anastasia said, "Creating and designing my Butterfly necklaces is like living in a dream, in an enchanted forest. It feels like I am bringing beauty, happiness and peace to this world, by inhabiting it with such gentle and gorgeous creations as butterflies."